The XW-P1 is a 61 key performance synthesizer with Casio's exclusive (HPSS) Hybrid Processing Sound Source. Providing screaming virtual analog monophonic leads and basses, drawbar organs, complex layers, stereo pianos, drums and more, the XW-P1 has the sounds and real-time control the performing musician needs. In addition to the solo synth and Hexlayers, the XW-P1 performance synthesizer is armed with an arsenal of gig ready sounds like stereo pianos, vintage electric pianos, strings, brass, guitars, basses, drums and more. It also has a new drawbar organ mode. Utilizing the nine sliders on the XW-P1 you have full range control over each drawbar. The XW-P1 even has dedicated controls for key percussion and rotary speaker while also providing vibrato, distortion and more for the ultimate drawbar organ experience. 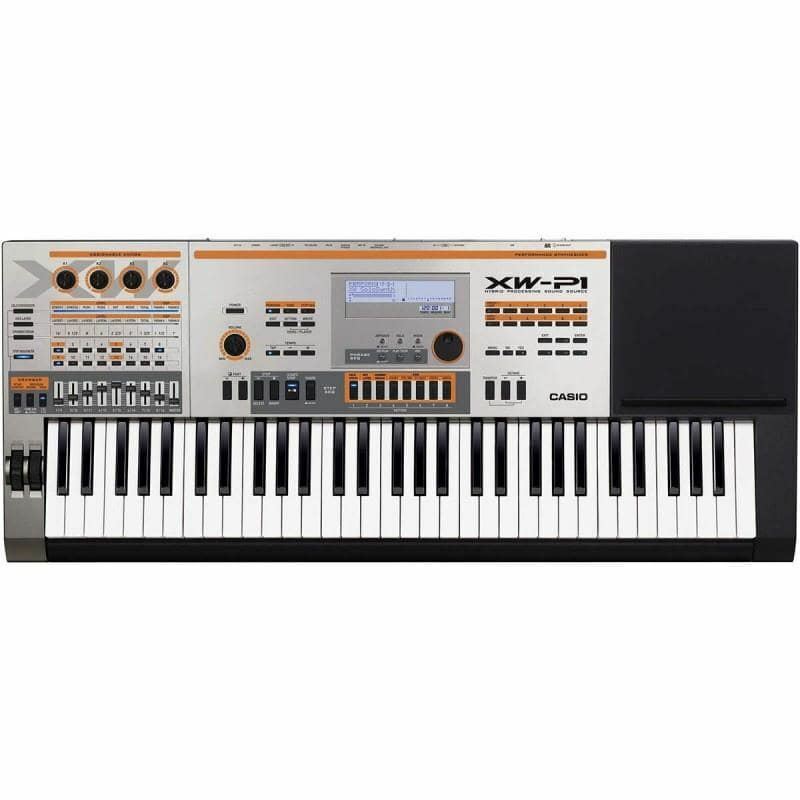 Utilizing Casio’s exclusive (HPSS) Hybrid Processing Sound Source, a six oscillator monophonic solo synth is just one of the amazing sound engine in the XW-P1. The solo synth has the power to deliver classic analog sounds and sounds with an aggressive edge unlike anything else. Two virtual analog style oscillators, two PCM based oscillators, a noise oscillator and an external oscillator via mic and line inputs can be combined to make up a single solo synth tone. Each oscillator has an independent filter, envelopes, independent key tracking, portamento, two LFO’s and access to master resonant filter. With impressive modulation and control capabilities at your fingertips, the solo synth is capable of a wide range of sounds and expression. In addition to the solo synth, the XW-P1 also features HexLayer tones. A HexLayer is a single sound comprised of up to 6 components, allowing complex layers, splits and velocity switched sounds. The sliders on the XW-P1 can be used to mix sounds on the fly to create evolving pads and rich synth textures while key velocity can be used to create dynamic velocity switched orchestral sounds and more. The XW-P1 has powerful arpeggiators. In addition to typical arpeggio patterns, this arpeggiator can create polyphonic synth gated patterns, acoustic instrument emulations and is even fully programmable allowing you to create your own unique sounds. An additional phrase sequencer allows you to quickly capture any riff that you play on the keyboard and have it available on a front panel switch or triggered and transposed live from a range of notes on the keyboard. The combination of the Step Sequencer, Arpeggiator and Phrase Sequencer provides an endless array of sound possibilities. 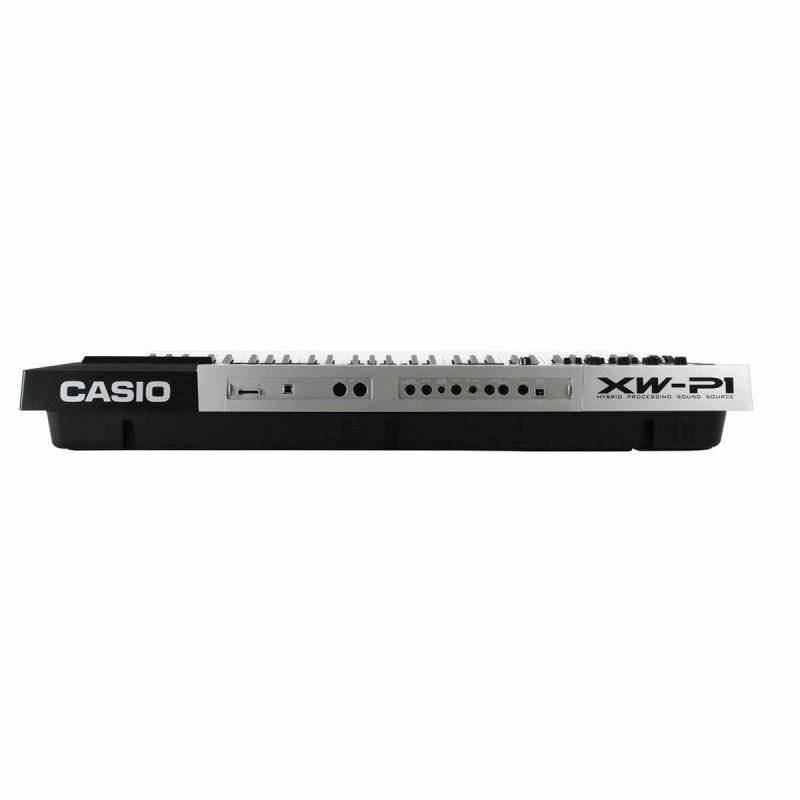 The XW-P1 has 4 realtime controller knobs, pitch bend and modulation wheels, along with 9 sliders to provide control over internal sounds and external devices. Through standard MIDI ports and with a class-compliant USB port the keyboard can be used as a controller for other instruments, including computer software and iPad® based software applications. It also includes an audio input allowing you to monitor an MP3 player, computer or other device without the need for a mixer. While the XW-P1 comes with a power supply it can also run on batteries, providing a truly mobile music making experience. You can now create music virtually anywhere. 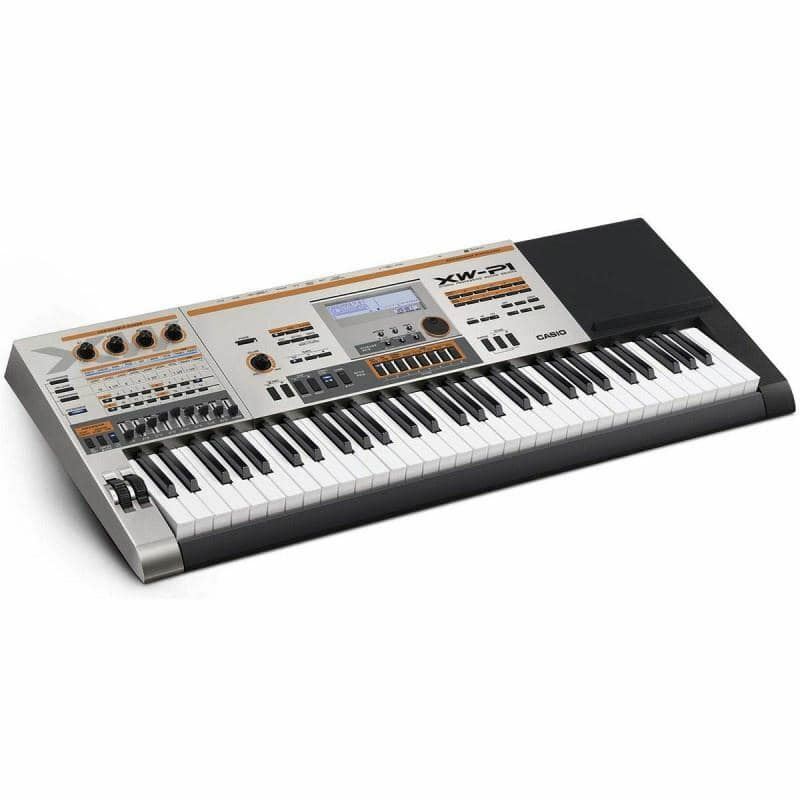 Casio CTK-5200 KeyboardFeaturesEnhanced high-quality basic functions!Improved sound quality and keyboard feelAHL Sound SourceAll built-in tones, including piano and acoustic instrument tones, now sound better than ever before! 48-tone maximum polyphony provides plenty of margin to minimize the chanc..
Digital Piano Roland RD-64Roland RD-64 dengan teknologi piano SuperNatural mampu menghasilkan suara yang lembut dan mampu mereplika tone khas dari piano akustik. Fiturnya yang kaya dan dengan desain dan bentuk yang simpel dan elegan, membuat Roland RD-64 teman yang cocok untuk menemani para musisi y..
Yamaha MOTIF XF8 88-KeySoon after the original MOTIF was released in 2001, it was recognized as the best sounding, top selling and most requested music workstation on the market. Over time, it has continued to evolve and improve its expressiveness and functionality. At the same time, the online comm..